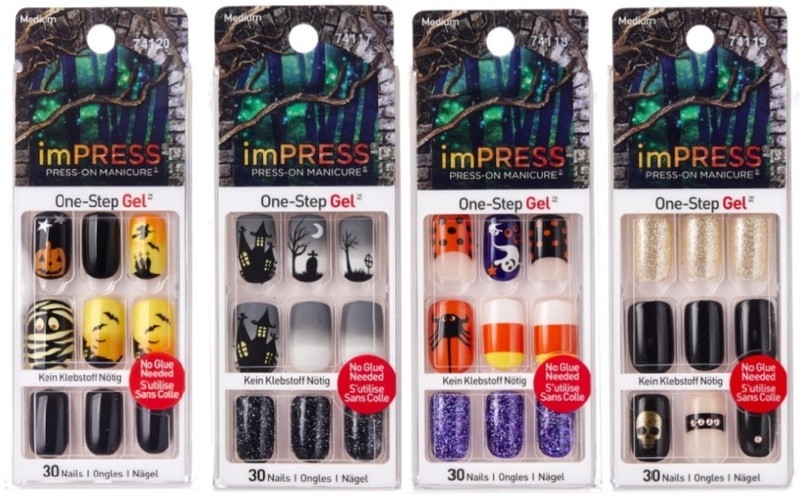 imPRESS Halloween Press-On Manicure One-Step Gel - $9.99 - in 4 haunting designs: Shining, Psycho, Living Dead and Elm Street - no dry time, no glue, no mess, just peel, press and go! 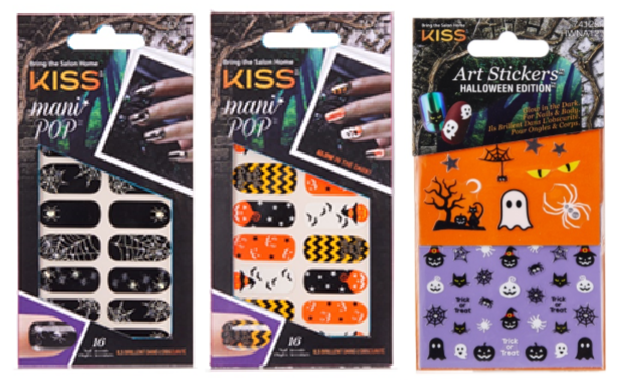 Kiss Mani Pop - $4.99 - in two festive designs: Tombstone and Phantom - apply directly on the nail for a full coverage nail design or cut up to create mix and match patterns. Kiss Nail Art Stickers - $4.99 - in Thriller - just peel off and accent nails with Halloween themes. Available now for a limited time at drug retailers across Canada including London Drugs and Jean Coutu.